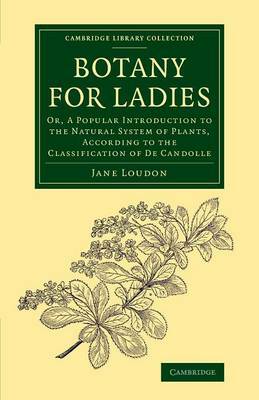 Jane Loudon (1807-58), the Mrs Beeton of the Victorian gardening world, wrote several popular books on horticulture and botany specifically for women. Her enthusiasm for plants and gardening was encouraged by her husband, the landscape designer John Claudius Loudon, whom she married in 1830. Her Instructions in Gardening for Ladies (also reissued in this series) was enormously successful, and she followed it up in 1842 with this volume on botany, in which she uses the natural system of classification. The 'grand object' of the work is 'to enable my readers to find out the name of a plant when they see it ... or, if they hear or read the name ... to make that name intelligible to them'. She takes her readers through the botanical orders, using a familiar plant as an exemplar for each, and then presents de Candolle's systematic description of plant species.